Our Toastmaster for the evening was Jane, who did a fantastic job for her first time! Her dry wit and professional tone kept us engaged as she ran a solid meeting, well done! The grammarian tonight was Nick who introduced the word of the night – exuberant. Heaps of people worked the word into the speeches which was great, and Nick gave useful feedback at the end of the evening too. The first prepared speech was delivered by Binaya, who was working on a project from an advanced manual. 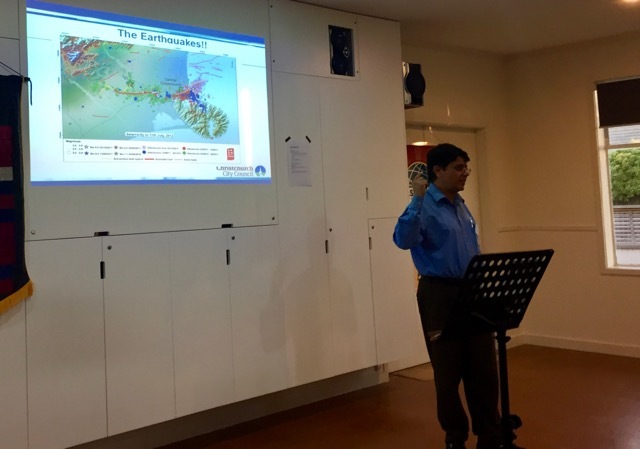 Binaya gave us a Powerpoint presentation that revolved around the devastating Christchurch earthquakes and briefly discussed some software that his engineering team developed to assist with the aftermath. It was highly informative and quite intriguing to see another side of the earthquakes. 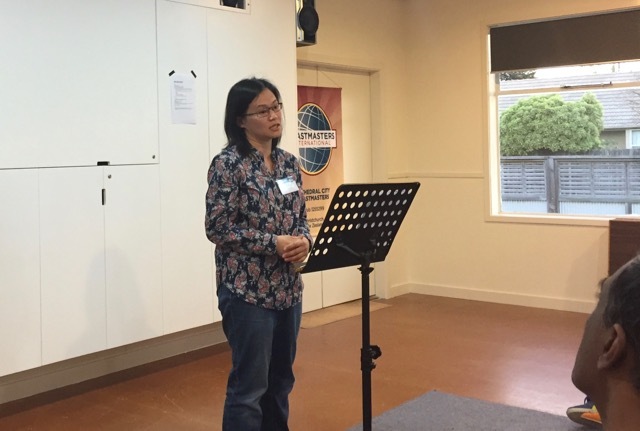 The second prepared speech was given by Jessica, who quite coincidently also spoke about the Christchurch earthquakes! Her speech was more about her own personal story of what happened on that fateful day, and she finished up with some great survival and preparation tips for us all to take on board. Table topics were handled by Ade, who brought us the classic “continuing story” challenge. She started us off by introducing the Brown family, and briefly mentioned their interests and backstory. As each participant spoke and expanded the story of the Browns, they became robots, Russians, spys, and rugby players. Quite an interesting mix! After the supper break we had evaluations by Dave Young, Matt, Ellie, and Dave Batchelor. The timer for the evening was Dianne. See you all next week!